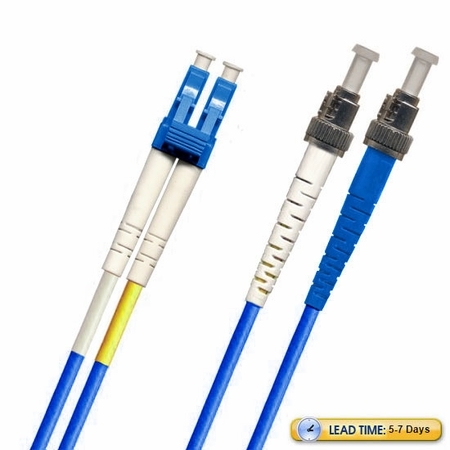 Combining the reliability of the ST connector with the LC connector's highly favored singlemode capabilities, the LightWave ST-LC Singlemode OS2 Fiber Optic Patch Cable is a perfect combination of high performance, low data loss and cost efficiency. When it comes to telecommunications applications, this is a cable that can meet your needs with ease. 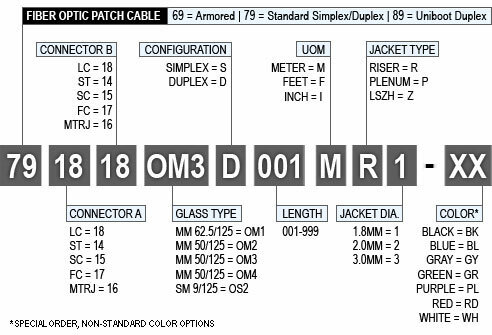 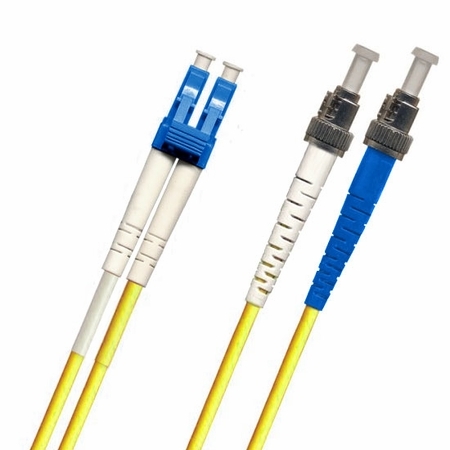 The ST-LC fiber optic cable has a UPC finish with twist-lock bayonet coupling mechanism on the ST connector end, and an RJ-45 style housing with push-pull coupling mechanism on the LC end for easy engagement and disengagement in dense spaces. Send data over a 9/125 micron glass fiber 1Gbps link a distance of up to 10,000 meters at a wavelength of 1310nm. For a 10Gbps link, you can transfer data a distance of up to 5,000 meters at a 1310nm wavelength or up to 30,000 meters at a 1550nm wavelength.